1. There’s a tribe of hermaphroditic wildcat people, who, after their sixtieth birthday, can become male or female based on their partner. 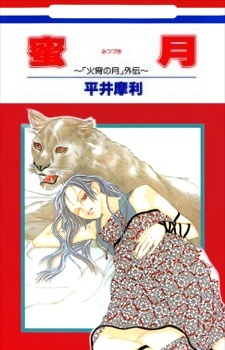 The main characters in this story are: a wildcat Kada about to enter its transformation period and its philanderer fiance Koryuu. 2. Lady Shaman returns, carrying a child. When Monkan learns she is pregnant, he has to decide whether to claim the child as his own or protect his position and honor by casting her aside. 3. Kagetsu and Arimasa have finally settled down, and are now raising one-year-old twins. However, Arimasa worries whether they will be able to live as humans with their demon blood. When the twins' powers begin to manifest, the new danger occurs.